Skyreach, one of Australia’s largest EWP hire specialists, has added to its fleet the Genie Z-60/37 FE fuel-electric boom lift, which was named “Best New Product – Access” at the Hire Industry Excellence Awards 2017. Skyreach was so impressed with the design of the lift that they made their first order when it was still on the drawing board. “We had to replace our 10-year-old electric boom fleet,” said Rod Leech, Managing Director of Skyreach. “Genie mentioned they were developing the Genie Z-60/37 FE boom and we ordered six straight up. The lift’s versatility enables Skyreach to achieve total market utilisation. “We get a better ROI with these compared to a dedicated electric boom. They can go out on any electric or diesel job,” said Leech. With its versatility and fuel efficiency, the Genie Z-60/37 FE boom lift is a perfect match for Skyreach’s value proposition. “We are specialists who have been around for a long time servicing the Australian east coast from the top to the bottom,” said Leech, who launched the firm in 1994 from the back of his car and built it into the business it is today. 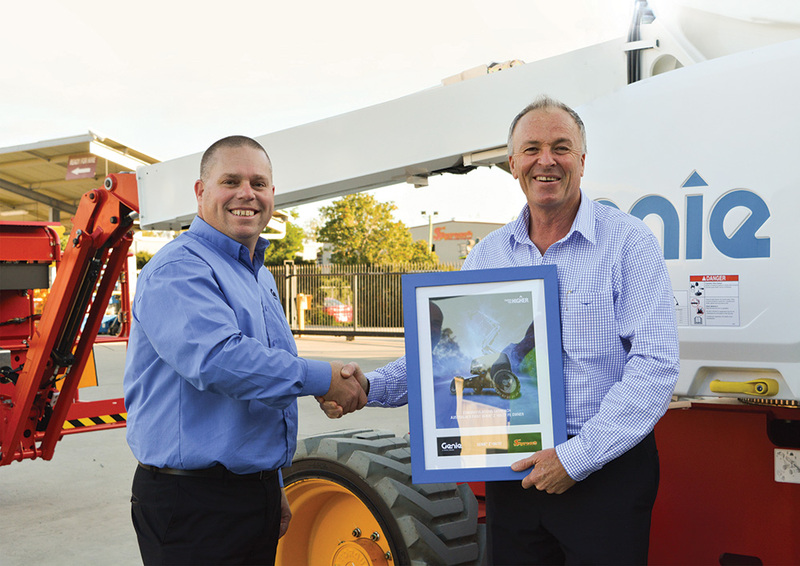 Genie is thrilled its award-winning hybrid boom lift will be contributing to the Skyreach success story, said Kurt Kinder, Genie National Sales Manager, Terex Australia. “When Rod saw it and what it could do, he wanted the Genie Z-60/37 FE boom lift in his fleet. We’ve been only too happy to help,” said Kinder.